Posts filed under Style it! Easter is around the corner! This year we decided to jazz up our rustic Farmhouse Dining Table for Easter Brunch. 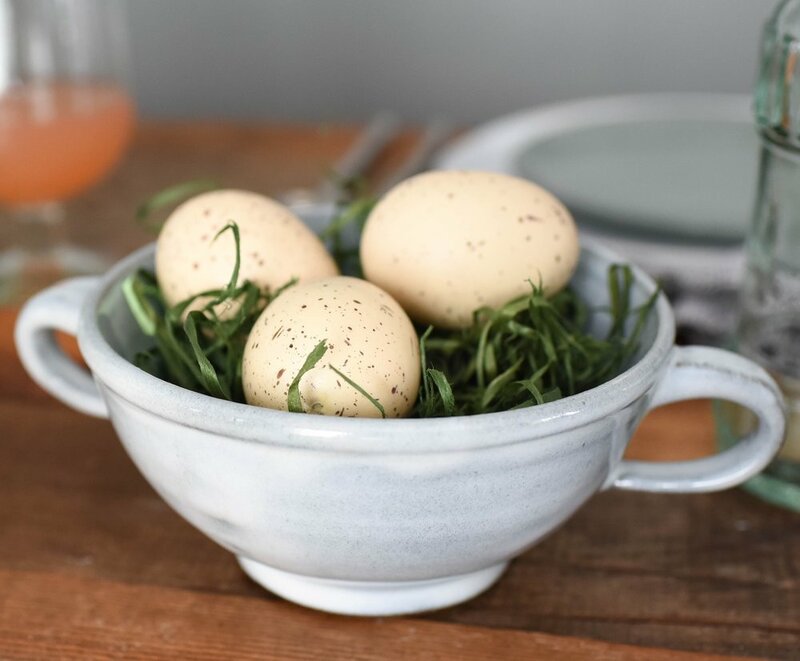 Follow our simple styling tricks below to get the perfect table setting for your Easter Brunch. SIX TIPS FOR SETTING YOUR EASTER TABLE! 1. Make a statement with a large centerpiece. Choose a modern vase with simple clean lines. 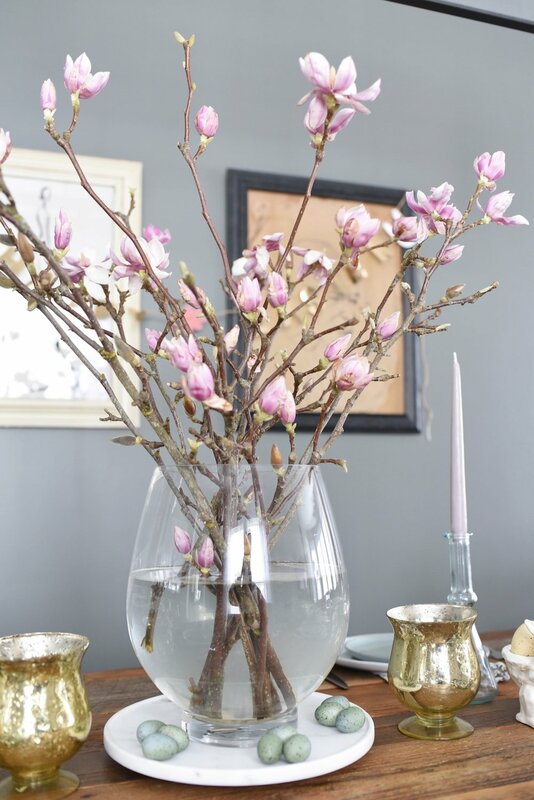 Add Magnolia branches as we did, or a contemporary floral arrangement. 2. Tell a color story and stick to it. Choose 3 - 4 colors to stick to. We chose a neutral palette with shades of white, sage green, pinks, and touches of mercury gold. 3. Create 3 - 4 different height levels for depth & dimension. This is a must! I find when I'm styling if I don't create different heights things fall flat. We created different heights with tall candles, bowls, trays, and layering different items together. 4. Add warmth with different textures. Linens, sheepskin throws, pillows, and marble not only add visual appeal they are also super comfy! 5. Feature handmade ceramics and vintage finds. Featuring your treasured items makes your table feel like home! Experiment, be creative. We unexpectedly filled hand thrown ceramic bowls with some grass and eggs. 6. Don't forget the bunnies + eggs! It wouldn't be Easter without the bunnies + eggs! Whether you use faux or hand dipped, eggs are a must! A BIG thanks to my friend Megan, for all her help and styling expertise for this post! From our WHAT WE MAKE family to yours, HAPPY EASTER! Posted on March 29, 2017 by Katy Quinn and filed under Style it! and tagged Easter Easterbrunch.